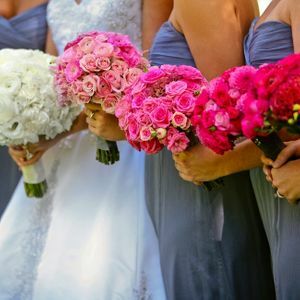 Today for your Floral Friday inspiration we are featuring bridesmaids with non-matching bouquets! 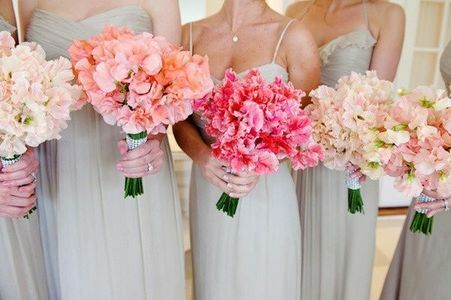 We love the idea of sending your girls down the aisle with different bouquets. 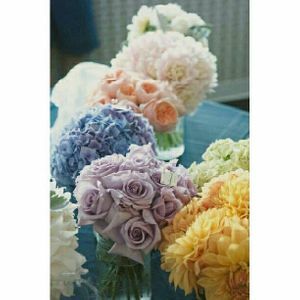 Whether they each have a totally different color or different shades of the same color (hello ombre!) it looks really beautiful especially with neutral colored dresses. 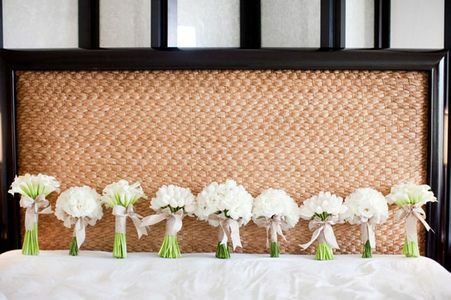 Not ready to send different colors down the aisle? 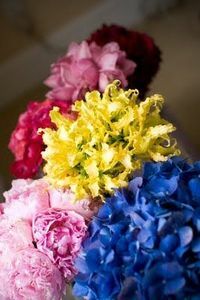 Try mixing up the types of flowers in the same color palette.